Mo’ney is a Freshmen on the softball team. She batted .700 for the week with 3 homeruns. One of her homeruns was the game winner against Hammond! Mo’ney was awarded a plaque, a free meal and a dessert from the McDonald’s of St Bernard. 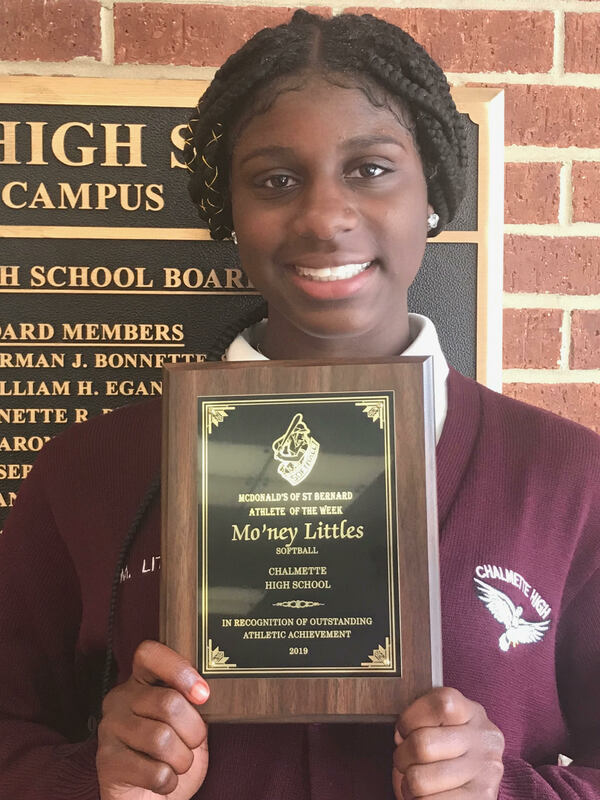 Congratulations Mo’ney!